Stephen Sidwell, Liquid Technology’s SVP of Technology, was featured in Financial IT’s spring magazine. 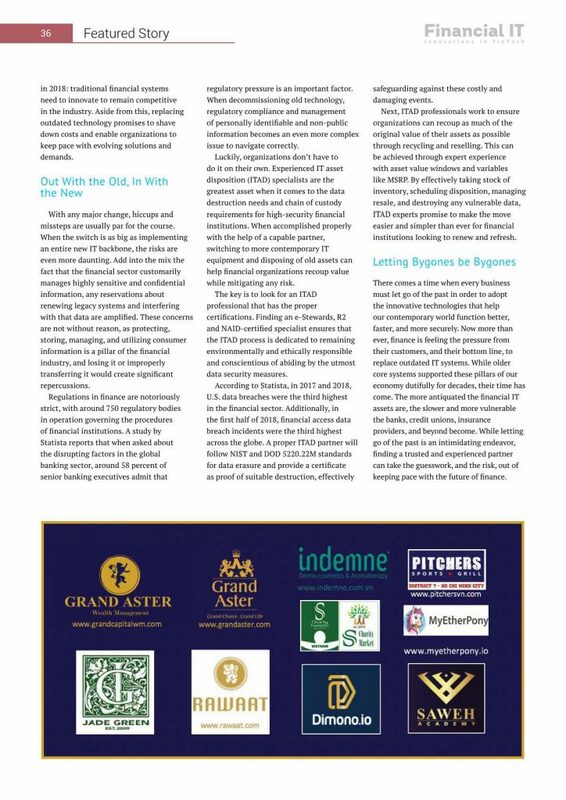 The quarterly magazine highlights FinTech market analysis, provides a forum for the industry, and covers industry trends. 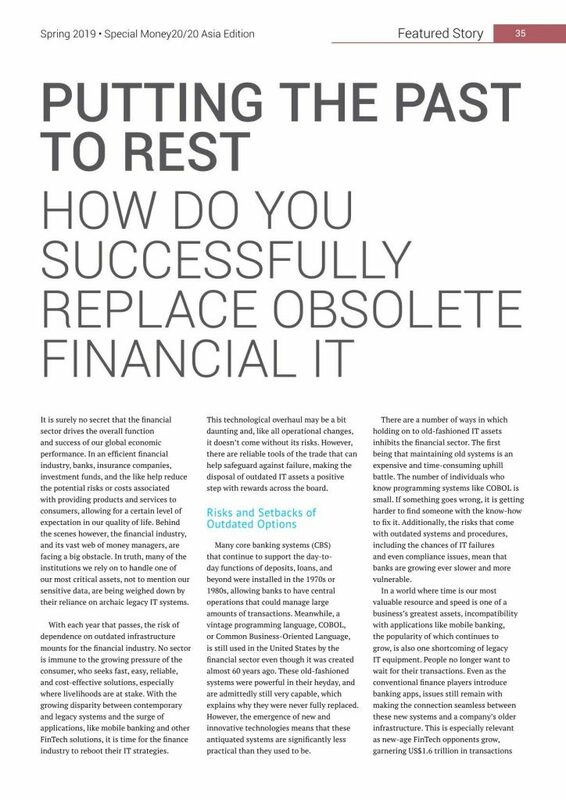 Sidwell’s article explains the importance of upgrading IT and how organizations can safely retire their IT by partnering with a certified ITAD vendor. See the full article below.